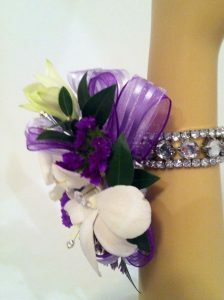 High School Homecoming can be a very fun and special time. Parents freak out, students are buying nice suits and dresses to impress, but transportation options are usually the last thing to think about. We will help handle everything for you with our San Diego Homecoming Limousine Bus Rental Services. 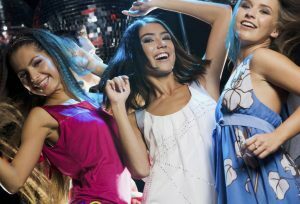 No Chaperones required on a Homecoming Limo Rental or Homecoming Party Bus Rental for all of San Diego County. We also provide additional options for Sedans, SUV's, and Sprinter Vans for smaller groups at affordable rates. But, be sure to get your reservations in early as many options are booked well in advance. We guarantee you will have an amazing time with any vehicle we set you up with at The Lowest Limo Discount Rates in San Diego. 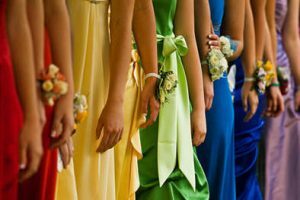 San Diego Homecoming Limo Rentals come in every vehicle type, model, colors, and sizes to accommodate your next High School Homecoming group. Whether it's just 2 of your or 10 couples, we have an option for you and a price to match! There are specific rules and regulations for High School Transportation, so rates will be higher than usual. Be sure to book your San Diego Homecoming Limousine as early as possible so that we can match you with the best price and ensure availability. Party Buses and Limo Buses are the most popular request for San Diego Homecomings. San Diego Homecoming Bus Rentals can be very affordable when split among couples. Choose your High School Homecoming Party bus from 20 passengers up to 50 passengers for a really fun time you and your date will never forget. All High School Homecoming Bus Rentals service all of San Diego County. There are not as many Party Bus and Limo Buses available as you would think, so they go very fast well in advance. Did you miss your opportunity for a San Diego Homecoming Party Bus Rental? No need to worry, we have Shuttle and Charter Buses that are just as nice and still offer a fun experience with friends at a much lower affordable rate. Again, there are specific regulations that companies need to follow for High School Homecoming Transportation, so expect an increase in hourly rates. Just ask any of our amazing sales representatives for further information. We have perfected the way we price out Limo Transportation Services in San Diego. San Diego Homecoming Limousine Bus Rental Services Pricing can easily be determined using our internal software with prices that have been intricately negotiated with multiple Limo Companies throughout San Diego. All Limousines, Sedans, and Buses are available with Point to Point Rates, One Way Transfers, Hourly Service Rates, and Hybrid Pricing.